A ‘champion tree’ usually refers to the largest specimen of a tree species – whether a towering sequoia, a banyan tree spread wide over thousands of metres, or an ancient olive tree that might seem small in comparison. Yet other trees are champions in their own way: growing in difficult – or almost impossible – situations, while also delivering benefits to people, animals and the environment. 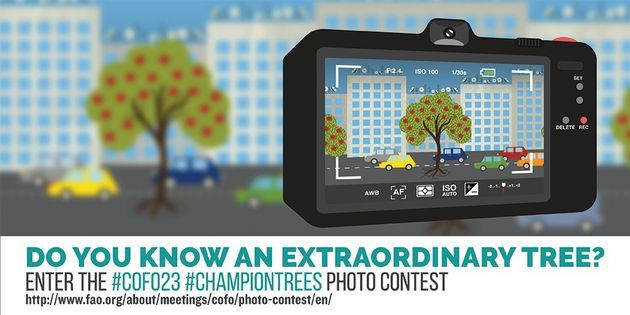 Some of these extraordinary trees may not be around for future generations, so let’s capture them now! We’d like you to send us photos of an amazing tree you know. Winners will be notified by email after 25 July 2016. Each participant can submit up to 3 entries. Online submission of digital photographs via the website.